The history of a company cannot be separated from its founder’s history. 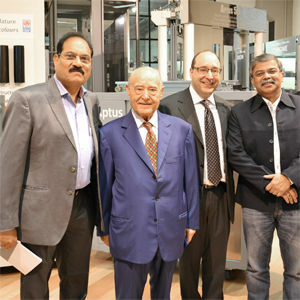 The birth and growth of engineer Giuseppe Volpe and IGV are no exception. Families, atmospheres, chanceful encounters and coincidences, fates, severity, dreams, obstinacy, successes. Everything merges, from the Naples sea to the foggy Milan, since the far 1930 up today. Giuseppe Volpe was born in Albanella, in the province of Salerno, where he spent his childhood. He graduated in engineering at the Polytechnic of Naples and on January 2, 1958 with just a tiny sum of money in his pocket he leaves to Milan. Thanks to his first job at ENPI (The Italian Accident Prevention Body) he falls in love for lifts. The engineer realises he wants to be an entrepreneur and he sets to work. 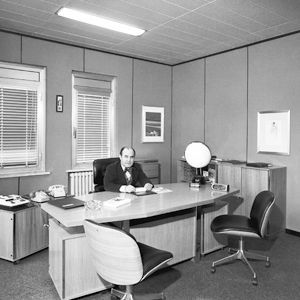 In 1966, engineer Giuseppe Volpe founded IGV, his company for the manufacturing of lifts. IGV has small headquarters of just 100 square metres in Zanella street, in the east suburbia of Milan. 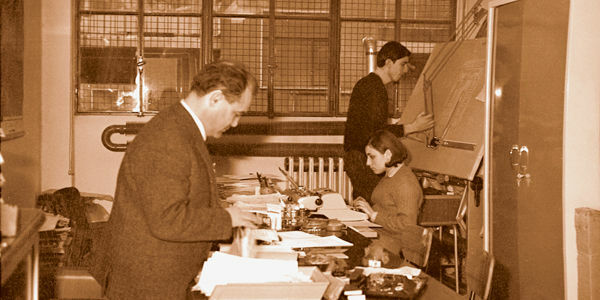 A few employees: a designer, a worker, a secretary. The company manufactures pushbutton panels. Later, electric devices for automatic doors. Then, the manufacturing is widened and includes the components needed for a complete lift. 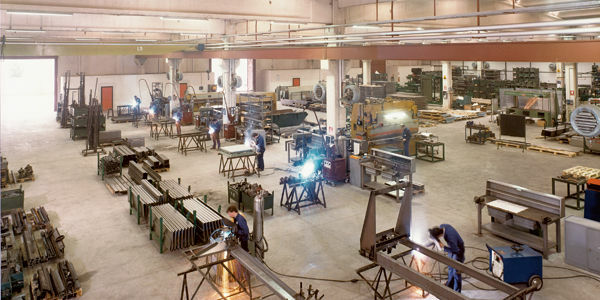 Later, complete lifts are manufactured and sold to more than thousand installers in Italy. At this point, the small company surface is not enough and IGV moves to Valvassori Peroni street, in larger headquarters. Manufacturing directly some of the components and having externally manufactured only 30% of the finished product, the company takes off. Since then, the IGV growth never stops. In 1972, the company buys the land for the Segrate plant. 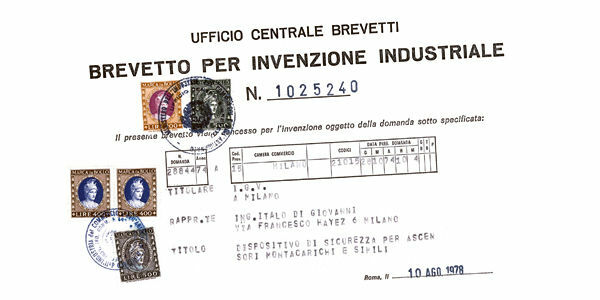 During the same year, the first issue of “Elevatori” magazine is published. 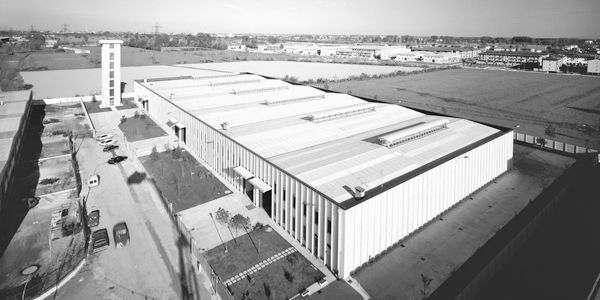 In 1981, the company grows further and moves to Vignate, in the Milan hinterland area. The plant covers a surface of 20,000 square metres and there is also a testing tower for lifts. IGV is the first Italian lift company to obtain a quality assessment certification. The research and development accounts for 2% of the turnover relies on 8 people, three engineers and five experts. It is thanks to research that in 1998 IGV launches the DomusLift, the personal lift for the removal of architectural barriers. In a short time, sales reach 30% of IGV turnover. The company grows and so the challenges. 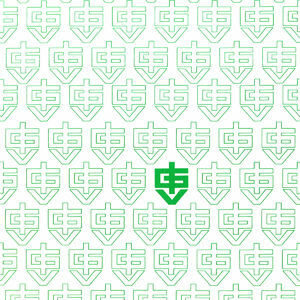 The new century brings two big results for IGV and eng. Giuseppe Volpe, which summarise the targets achieved in the last years: DomusLift and the Ambrogino d’Oro. 2003 is the year of another innovation: SuperDomus, the IGV lift with reduced pit and headroom. 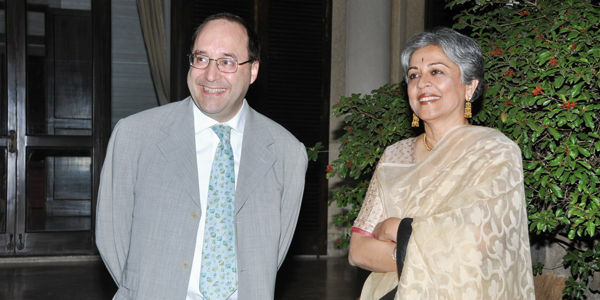 The “Ambrogino d’oro”, awarded by the Major of Milan, Letizia Moratti, on 7th December 2007, is the most important award assigned by the city of Milan to leading citizens. 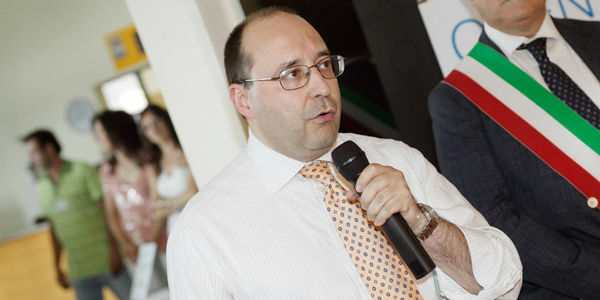 Engineer Volpe, choosing to live in Milan, has offered employment and commitment and has succeeded in joining the genius from South Italy and the commitment of the North. An unbeatable union. 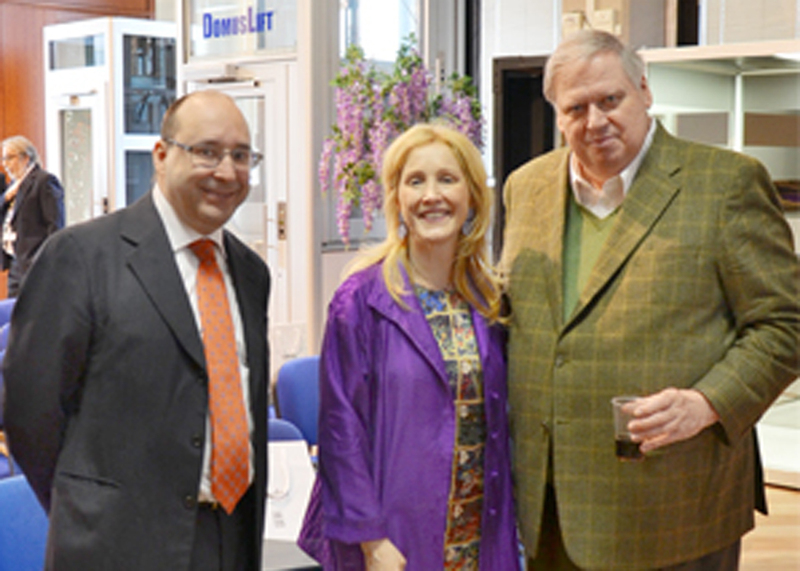 In spring 2009, IGV celebrates the milestone of 15,000 Domuslift sold with a donation: the 15,000th Domuslift is donated to the foundation Paolo Fagetti. Eng. Matteo Volpe, the founder’s son, after a long apprenticeship in the company, is IGV General Manager. The IGV second generation is ready for the future and to widen exports, by investing in technology. On 12 July, IGV Group opened the doors of its plants to customers, suppliers, employees’ families and press in order to show the new manufacturing process and assets, costing an investment of 3.5 million euros. 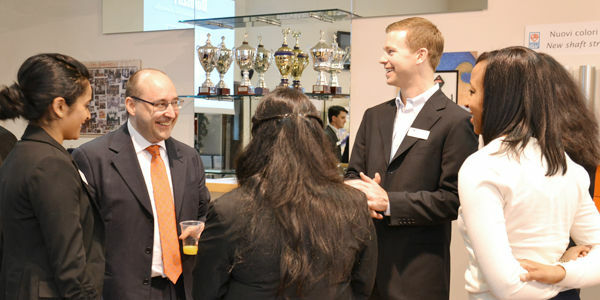 Over 300 guests among customers, suppliers and employees, took part into the IGV Group Open Day. 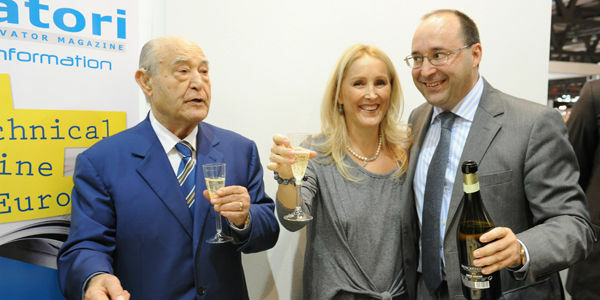 On the 25th June, IGV Group celebrated its 50th anniversary with a big party in its headquarters in Vignate, Milan.